A self-declared “proven conservative leader,” Raúl Labrador is currently serving as the US Representative for Idaho’s 1st congressional district. He was elected to his position in 2010 and won re-election in 2016. Born December 8, 1967, in Carolina, Puerto Rico, Labrador was raised by his mother who he credits for inspiring him to get involved in politics. In his early teen years, Labrador moved to Las Vegas where he later graduated high school. Labrador continued his education at Brigham Young University in Utah and received his BA in Spanish. In 1995 he received his JD from the University of Washington School of Law. 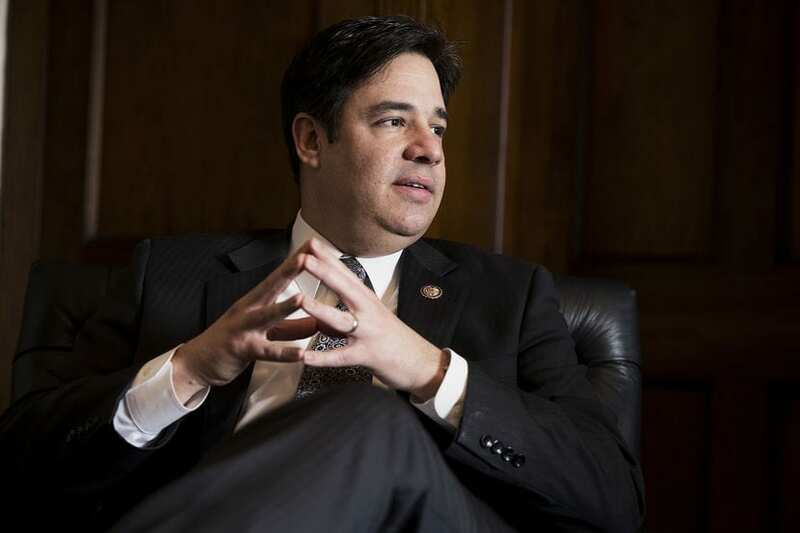 Labrador worked as a law clerk in Boise, Idaho for the US District Court before he opened his law practice that specialized in immigration and criminal defense. In 2006, Labrador ran for the District 14 Senate seat in the Idaho House of Representatives and won the Republican nomination. He served two terms. In 2010, Labrador was elected to the US House of Representatives for the 1st Congressional District. He is currently serving his fourth term. Labrador has been a supporter of lower taxes. 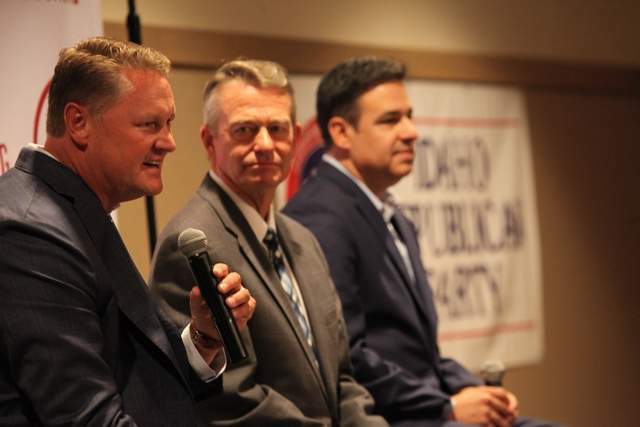 At the 2017 IDGOP Summer Meeting, Labrador mentioned his “5/5/5” plan that would set 5% as the income, corporate, and sales tax. Labrador is in favor of repealing and replacing Obamacare. He has suggested allowing people to purchase coverage in other states. Labrador feels that students can perform better without Common Core. By setting and implementing standards based on Idahoan students and giving school boards more control of their districts, additional budget to the school system would not be necessary. 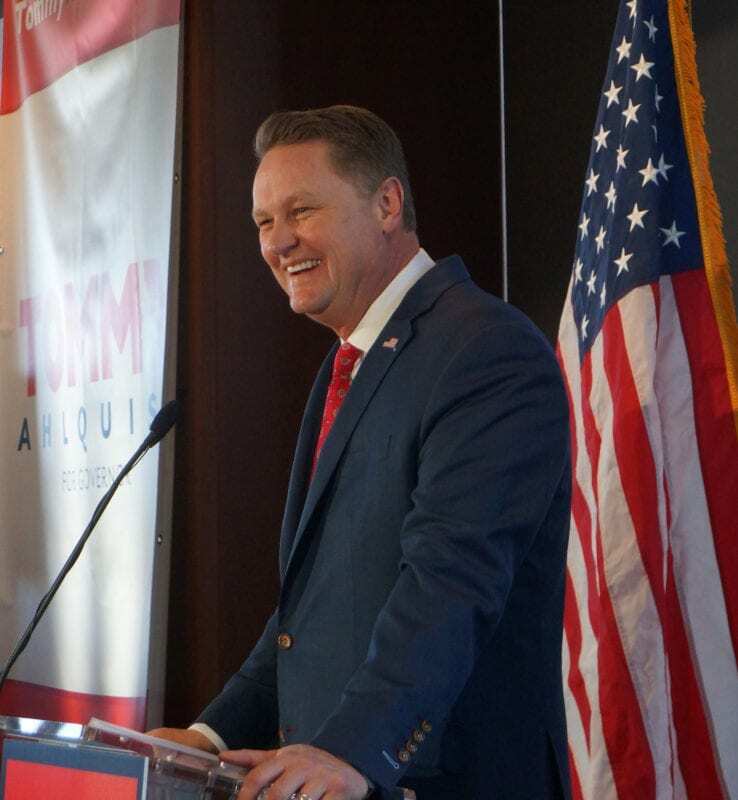 Tommy Ahlquist, a self-declared conservative Republican, is a board-certified ER doctor, commercial real estate developer, small businessman, and philanthropist. Born January 25,1968 Ahlquist was raised on his family’s small farm in Hunter, Utah. Ahlquist came to Idaho to attend Ricks College (now Brigham Young University-Idaho) and began his premedical studies there. 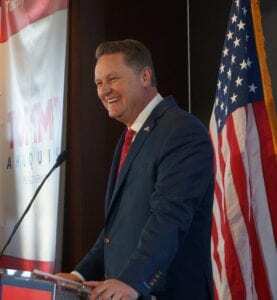 After graduating from Ricks College, Ahlquist attended the University of Utah where he ran the Pediatric Intensive Care Research Laboratory and received his medical degree. Ahlquist continued his training at the University of Arizona where he received specialized training in emergency medicine. He served as the Chief Resident was also awarded Resident of the Year. Ahlquist and his family moved to Idaho to begin working at St. Luke’s in Boise. Ahlquist might be the outsider in the 2018 gubernatorial race without formal political experience, but his professional experience has fine-tuned his ability in solving issues. As an ER doctor, Ahlquist saw a need to help victims of abuse. He helped form FACES of Hope Victim Center. The Center has helped thousands of women and children in Idaho. As a commercial real estate developer, Ahlquist saw a need to correct the 25-year old eyesore located on 8th and Main. He partnered with Gardner Company to build the tallest building in Idaho, the Zion’s Bank Building. Ahlquist has developed more than 2 million square feet of property in Idaho. During his development career, Ahlquist has provided thousands of Idaho jobs, brought businesses to Idaho, and helped improve the economy. Ahlquist has vocalized the need to lower property and income taxes and utilize incentives to attract businesses to Idaho. His “blueprint” calls for reforming tax code and removing regulations on small businesses. Ahlquist is in favor of repealing and replacing Obamacare with our own Idaho solution. His plan is to promote competition among providers in order to have truly affordable health care. Ahlquist says that Idaho schools are not preparing students well enough for college or careers. He plans to reform schools, get rid of restricting mandates and hold schools accountable for the success of the students. 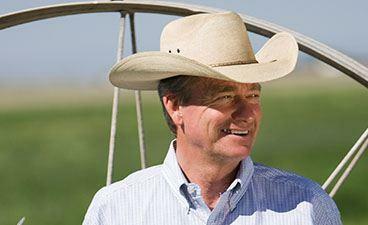 Brad Little, a self-declared conservative Republican, is currently serving as the 42nd Lieutenant Governor of Idaho. 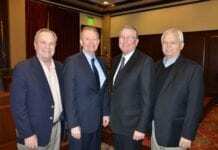 He was appointed to his position by Governor “Butch” Otter in January of 2009 when Jim Risch joined the Idaho Senate. Born February 15, 1954, in Emmett, Idaho, Little grew up on a successful sheep ranch that was started by his grandfather. A University of Idaho graduate, Little received his bachelor’s degree in agri-business. After graduation, he returned to work at his family’s ranch. 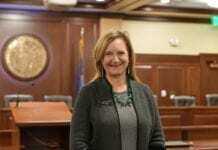 Prior to becoming Lieutenant Governor, Little was appointed to represent District 11 in the Idaho State Senate from May 2001 until January of 2009. Little has served as chairman of the Idaho Association of Commerce and Industry, board member of The Boise of Business in Idaho (1981-2001), vice-chairman of the Idaho Community Foundation, chairman of Emmett Public School Foundation, and director of University of Idaho Foundation and the Idaho Wool Growers Association. Little has vocalized his concern for repealing property taxes as such as action could hurt Idaho Government. He is in favor of lowered taxes. Before Obamacare, Little says that Idaho had affordable health care. Little says that there is still work to be done. He is an advocate of free-market solutions such as HSAs. Little would give public education in Idaho a B- grade, claiming that there are “things to improve.” His goal would be to push for children to be reading by the end of the third grade, incentivize teachers, and to implement dual-credit programs in high school.